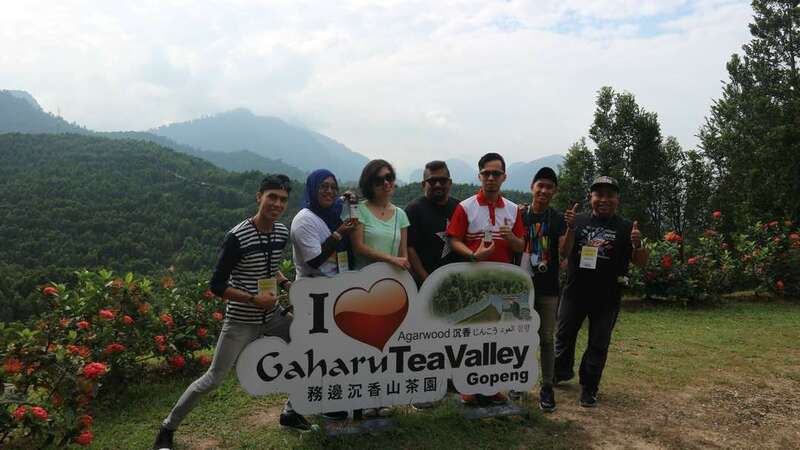 Gaharu Tea Valley Gopeng was started 20 years ago with covering 300 acres of elevated grounds and at one time , there are approximately 200,000 Gaharu trees . At that point 90% of the produce was to meet demands from global markets primarily Middle East , China , Japan , Taiwan and Korea . The type that is grown at Gaharu Tea Valley Gopeng was adapted from Japan and brought over to Malaysia by Gaharu Technologies Sdn Bhd enabling the company to harvest a significant amount of resin from the trees within six to ten years of their growth . At here , tourists are able to enjoy expansive view of the Agarwood trees being grown in the area , apart from breathing in the fresh air . Visitors will be brought to the 20-year-old mother tree , which seeds have been used to populate the plantation , located at the valley’s highest point , surrounded by splendid panoramic views . Visitors will be given a tour to the vast tea valley including a 20 year old giant Gaharu tree , which tourists are encouraged to hug the tree for luck . The Gaharu tree or (also known as wood of the Gods) is well known for its medicinal value since ancient times , including its tea , incense and perfumery products . Agarwood is highly prized for its powerful, exotic fragrance as well as its medicinal and health-giving properties. Its popularity in Middle Eastern and Chinese cultures and its high commercial value has led to agarwood becoming rare and endangered in the wild . The project began around two decades ago but the facilities have only been open to the public for the past couple of years . 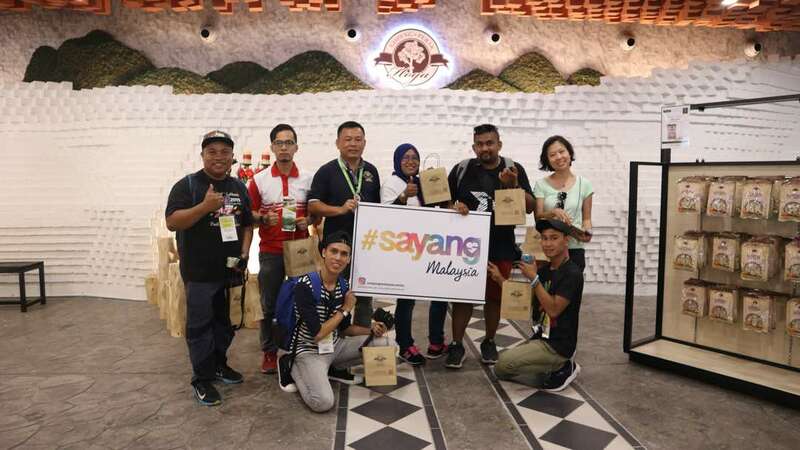 The tree has multiple uses and various products are made in their factory and sold in the Gaharu Retail Shop which are both located onsite at the plantation . Health Benefits of Gaharu Tea , It is claimed that tea made from Gaharu leaves can help reduce blood sugar levels , lower blood pressure , improve sleep quality , treat hangovers , constipation , flatulence , gout and asthma . Anti-cancer and anti-aging properties are also claimed . Products include : Tea , Cookies , Instant Noodles, Soup Mix , Nougat , Oil/Fragrance , Wood Chip .